Lok Sabha elections: PM Modi addressed rallies in Maharashtra, Karnataka and Kerala today. Over 150 veterans have written to President Ram Nath Kovind expressing their unhappiness over the "politicisation" of the armed forces in the ongoing Lok Sabha elections. The letter, sent to the President on Thursday, the first day of the national election, refers to the "unusual and completely unacceptable practice of political leaders taking credit for military operations like cross-border strikes and claiming the armed forces to be 'Modi ji ki Sena'". The signatories include three former Army chiefs - General (retired) SF Rodrigues, General (retired) Shankar Roy Chowdhury and General (retired) Deepak Kapoor, four former Navy chiefs and former Air Force chief NC Suri. Meanwhile, the Supreme Court has directed all political parties to provide receipts of electoral bonds and details of identity of donors in a sealer cover to the Election Commission by May 30. In an interim order, the court also directed all political parties to provide details of the amount and bank account of donors to the poll panel. " Electoral bonds scheme will continue, there is no stay. All parties must submit the details to EC in a sealed cover," said the bench comprising Chief Justice Ranjan Gogoi and Justices Deepak Gupta and Sanjiv Khanna. With the first phase of Lok Sabha elections over, political parties have deputed their star campaigners for the remaining phases of the seven-phased elections. 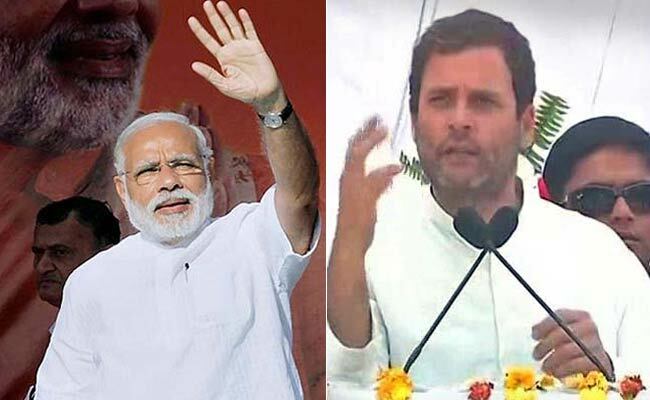 Prime Minister Narenda Modi and Congress President Rahul Gandhi will today address rallies for the remaining phases of the seven-phased elections. PM Modi addressed rallies in Maharashtra, Karnataka and Kerala, while the Congress President will address multiple rallies across Tamil Nadu. The first phase of the Lok Sabha elections saw a mixed turnout with West Bengal witnessing an impressive turnout of 80.9 per cent and Bihar recording 50.3 per cent - the lowest turnout among the 18 states. Sporadic incidents of violence were reported in Andhra Pradesh and Arunachal Pradesh. A worker of Andhra Pradesh chief minister N Chandrababu Naidu's party, the TDP, was killed in the poll clashes yesterday. The Electronic Voting Machine or EVMs also came in for intense criticism with reports of glitches cropping up from several places. Mr Naidu even wrote to Election Commission demanding repolling in nearly 150 polling stations in the state. Earlier today, PM Modi met a tea-seller who had vowed not to wear footwear till the former becomes the prime minister. Dilipsinh Thakur took the vow in the 2014 national elections and now he is rooting for PM Modi to be elected again. 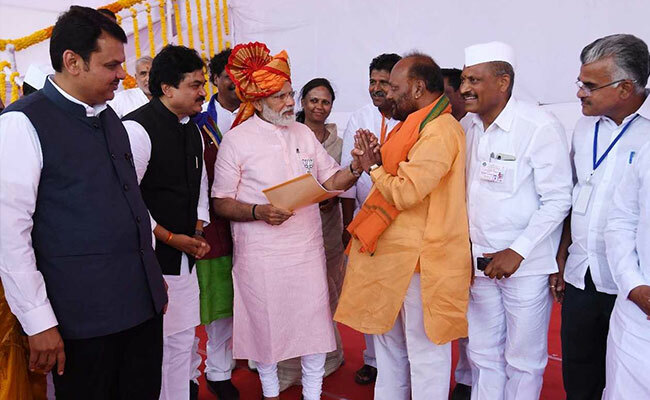 Today, PM Modi met him in Ahmednagar and thanked him for his selfless efforts and trust. "We are ready for alliance with Aam Aadmi Party provided they stick to the basis on which we had discussions in Delhi, corresponding to our strength in Delhi," he adds. The mobile app, ''Sankalp'' (resolve) has a tutorial video on how to use an Electronic Voting Machine (EVM). The users can also check their electoral roll details in the app. 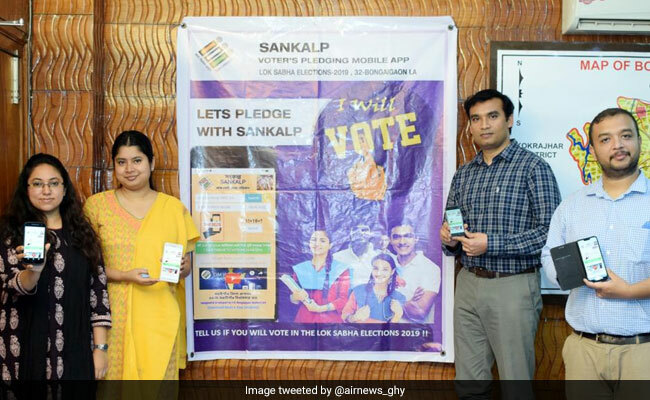 "It is our resolve to increase voter awareness among the youth in Bongaigaon by making them take a pledge through this app that they will be voting in the upcoming Lok Sabha elections," Bongaigaon Deputy Commissioner Adil Khan said. Over 150 veterans have written to President Ram Nath Kovind expressing their unhappiness over the "politicisation" of the armed forces in the ongoing Lok Sabha elections. The letter, sent to the President on Thursday, the first day of the national election, refers to the "unusual and completely unacceptable practice of political leaders taking credit for military operations like cross-border strikes and claiming the armed forces to be 'Modi ji ki Sena'". The signatories include three former Army chiefs - General (retired) SF Rodrigues, General (retired) Shankar Roy Chowdhury and General (retired) Deepak Kapoor, four former Navy chiefs and former Air Force chief NC Suri. 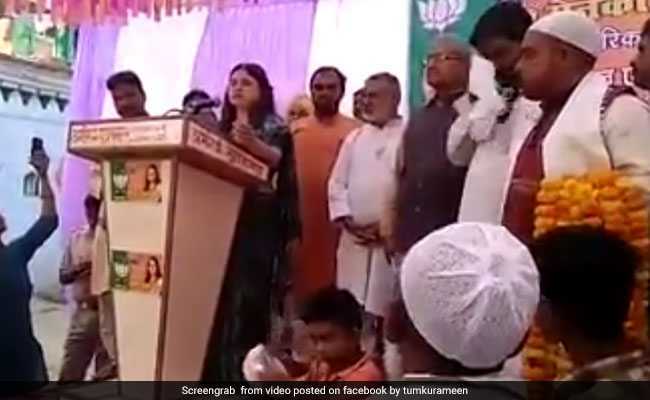 Union Minister Maneka Gandhi is on camera telling a gathering of Muslims in Uttar Pradesh's Sultanpur, from where she is contesting the national election, to vote for her or else she may not be inclined to be responsive to their requests. "I have already won this election, now it is for you to decide," said the BJP leader on Thursday." I am glad the entire nation is speaking in one tone. This faith is my strength and it is because of the confidence people have in me that I have been able to take big decisions. Congress is talking on removing Army in Jammu and Kashmir. They are saying they will revoke special privileges to soldiers. To those who are voting for the first time, I want to ask - are you okay if nation's security is compromised. Remove Congress, only then we will all be able to prosper. Once Modi government returns, all farmers will be benefited by PM Kisan Yojana. The farmers, who toil hard all day long, will get pension after they turn 60. The cash recovered from Tughlaq Road is a proof of what Congress is actually capable of. The nation is witness to Congress's "Tughlak Road Election Scam", our youth are watching too. The money that could be spent on welfare of children with malnutrition has been looted and spent on party's welfare. BJP talks begin and end with toilets. Where's the water you promised for toilets? SP improved power infrastructure in the state. Under BJP rule, electricity has become costlier. Akhilesh Yadav campaigns in Pilihibit, Uttar Pradesh. Akhilesh Yadav campaigns in Pilihibit, Uttar Pradesh. 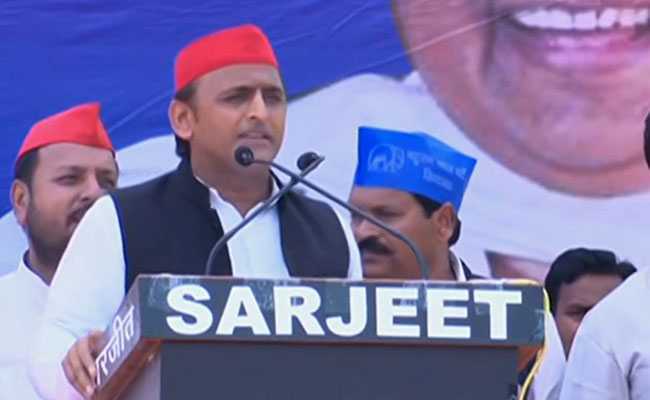 The SP chief is campaigning for the SP-BSP-RLD alliance candidate Hemraj Verma. Mr Verma is contesting against BJP's Varun Gandhi. Pilibhit will go to polls in the third phase on April 23. 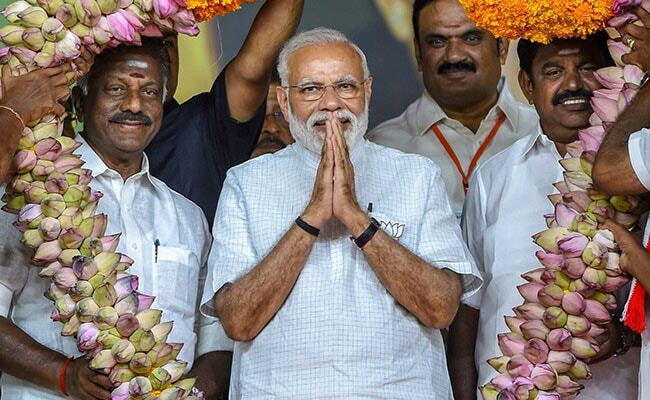 On social media, the PM's supporters and detractors clash on his trips to Tamil Nadu with hashtags like #GoBackModi feuding with #WelcomeModi. Mr Natarajan's cadres, similarly, try to talk up among voters an alleged 'emotional disconnect' between Tamil Nadu and Delhi since 2014." 71.41% poll percentage recorded in Meghalaya yesterday. Poll percentage recorded in 2014 was 68% and in 2009 it was 63% . The Supreme Court has refused to stay the government's electoral bond scheme for political funding. The bench headed by Chief Justice Ranjan Gogoi has instead asked the political parties to submit details of donations to Election Commission by May 30. " Electoral bonds scheme will continue, there is no stay. All parties must submit the details to EC in a sealed cover," it said. BJP MP Meenakshi Lekhi has moved the Supreme Court for contempt against Rahul Gandhi over his comments welcoming the top court order in the Rafale case earlier this week. The order was seen as a setback to the government. 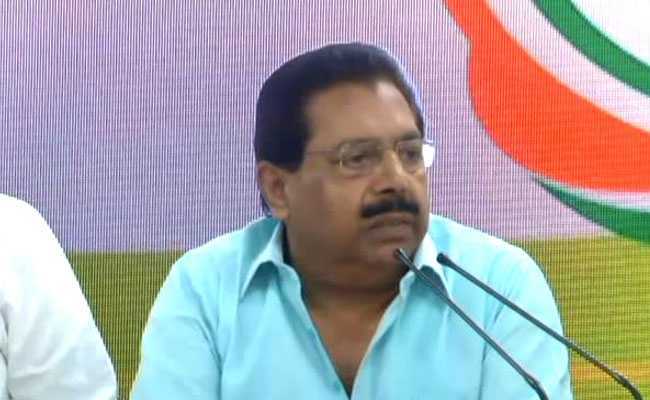 The BJP spokesperson accused Mr Gandhi of contempt of court and said he attributed the statement, "chowkidar chor hai(watchman is a thief)", to the Supreme Court as saying in its order and tried to create prejudice. 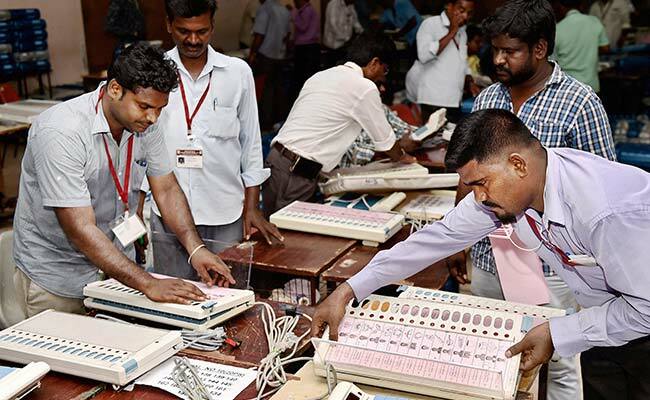 The Nizamabad Lok Sabha constituency, where polling was underway today along with 16 other constituencies in Telangana, may make it the Guinness World Records for the maximum number of Electronic Voting Machines (EVMs) used." Nizamabad not only created the record for the highest number of candidates but also became the first constituency in the country to witness polling with EVMs for such a large number of candidates. Prime Minister Narendra Modi will visit three states today. PM Modi will start with a rally in Ahmednagar in Maharashtra, at 11 am. From Maharashtra, PM Modi will travel to the southern states of Karnataka and Kerala. The first phase of the Lok Sabha elections saw a mixed turnout across the 18 states and two Union territories where voting was held. West Bengal topped the chart with a turnout of 80.9 per cent, the lowest turnout was in Bihar -- 50.3 per cent. Polling in northeastern states was off the charts, as Tripura, Nagaland and Manipur and Sikkim posted figures around 80 per cent. Arunachal Pradesh was close with 79.1 per cent. Meghalaya and Mizoram posted figures around 60 per cent. In the country's largest state, Uttar Pradesh, people across 8 parliamentary seats -- all in the western side of the state -- elected representatives, posting a turnout of 59.8.